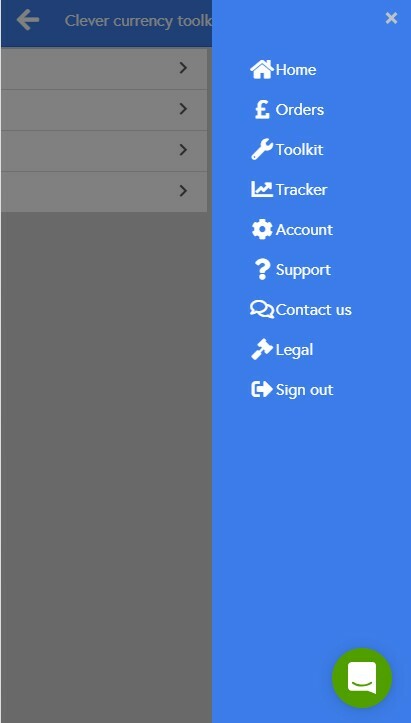 From here you can view your existing diary entries, or add a new one. 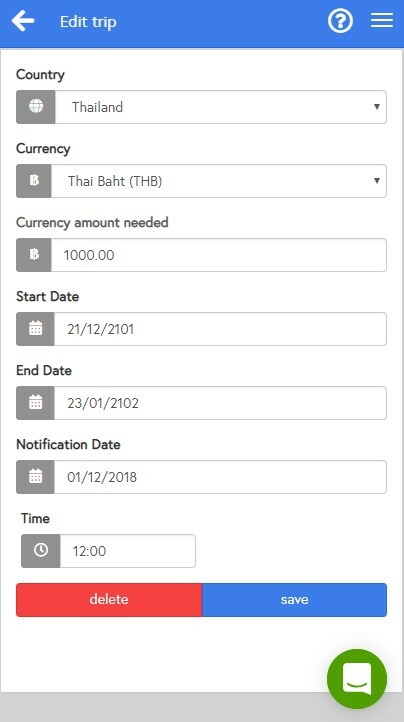 Just select your destination, currency and volume, set the dates of your trip and the date and time you want to be reminded to buy your currency. We'll automatically email the reminder on the requested date and time. 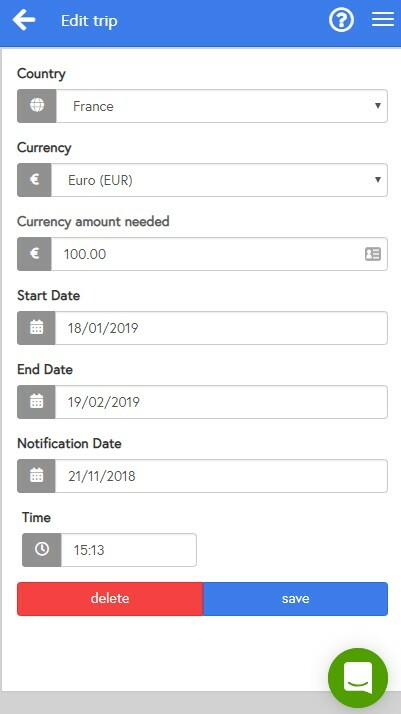 And from the list of diary entries, you can create an instant order simply by clicking on the currency flag. 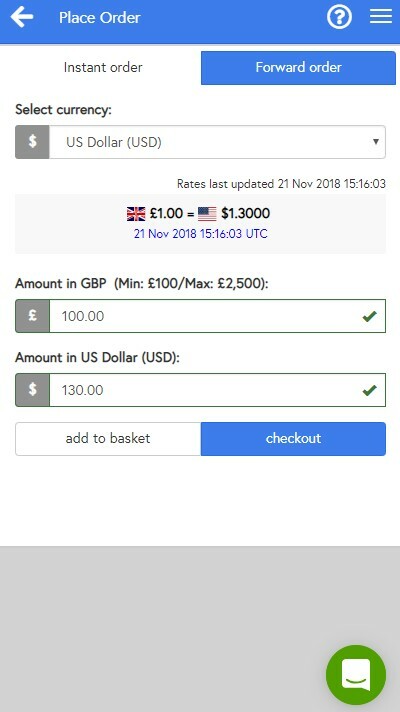 We'll give you a quote for the required amount of foreign currency, and you can complete the purchase in the usual way - that is, of course, if the waiting time since the last order has elapsed, and you have sufficient balance on your annual spend limit. 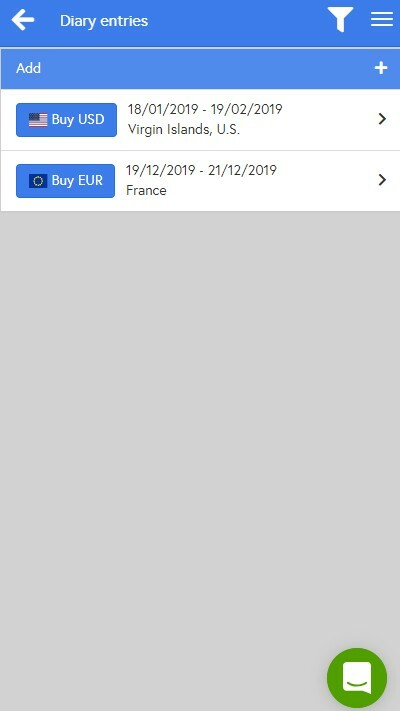 To cancel a diary reminder, simply click on the entry in the diary list (don't click the currency flag) and choose the "delete" option. 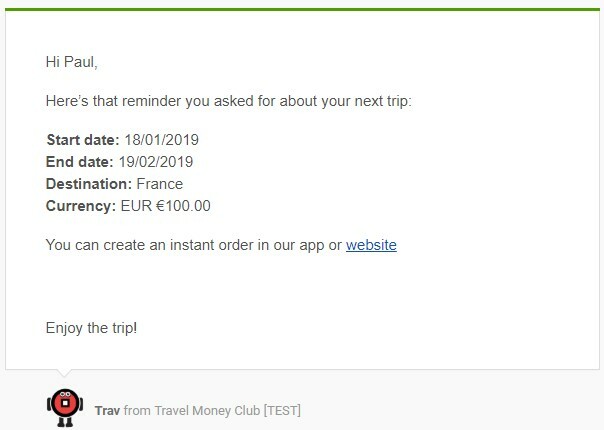 TIP: To make sure you receive all our email messages without interruption, please add @travelmoneyclubcouk.intercom-mail.com and @travelmoneyclub.co.uk to the trusted domains in your email software.